The view from atop the rolling hills near Killarney captures a classic scene of Manitoba’s Prairie Pothole Region. Large swaths of agricultural land stretch out toward the horizon line. Here and there, shallow wetlands sparkle in the sun, beckoning waterfowl to stop, nest and raise their young. The bountiful land and water in Manitoba makes it a prime staging area for many species of waterfowl, including swans, geese and ducks. This where our work began, when the idea of conservation was still new. It’s where we restored our first project, a large wetland at Big Grass Marsh. These 10,000 acres of restored wetland and upland near Gladstone remain vitally important for waterfowl and wildlife. Our province’s water and wetlands are among the most ecologically significant in the world. The abundant water is a gift. It’s also a responsibility. Many of Manitoba’s more than 100,000 lakes, rivers and streams are threatened. As a result, we are experiencing more floods, algae blooms and invasive species. Manitoba’s wetlands are a natural solution to these problems. Yet every day, 15 acres of wetlands are lost in southwest Manitoba alone. We are steadily losing more wetlands than are being restored. People and communities downstream are suffering. Wildlife are losing their precious habitat. We’re not giving up. Our story has always been one of perseverance, dedication, and a steadfast determination to protect wetlands. This is the reason we restored Big Grass Marsh in 1938 and why we’re still this way today – getting our boots dirty and getting things done. Manitoba’s Prairie Pothole Region has a long history of wetland destruction. To the north, future industrial activity threatens the province’s boreal forest. It’s time for wetland conservation efforts that will protect our most precious resource. As much as 90% of wetlands have been drained in areas of southern Manitoba. This has been done to increase usable acres for agriculture and urban development. Much of this falls within the Lake Winnipeg watershed, which is suffering the consequences of poor water quality and regular flooding. 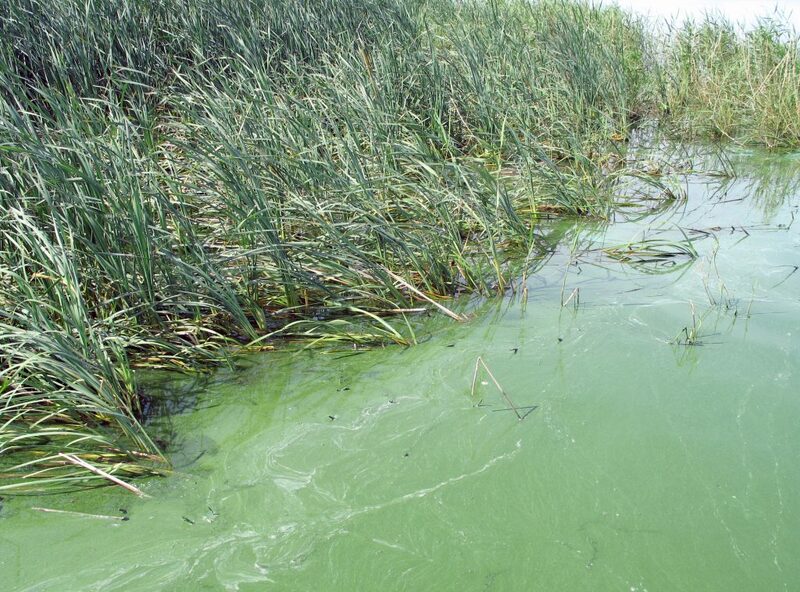 Current provincial regulations do not provide enough protection to stop wetland loss. Manitoba is rich in natural resources. Sustainable land-use practices are the only way to ensure long-term conservation in these areas. The invasion of carp in Delta Marsh has made this iconic wetland one of the most endangered in North America. They disturb sediments and uproot aquatic vegetation, destroying the marsh and its habitat for other fish species and waterfowl. Our Restoring the Tradition initiative has started the important work of reversing this effect, and must continue if the marsh is to return to a healthy state. 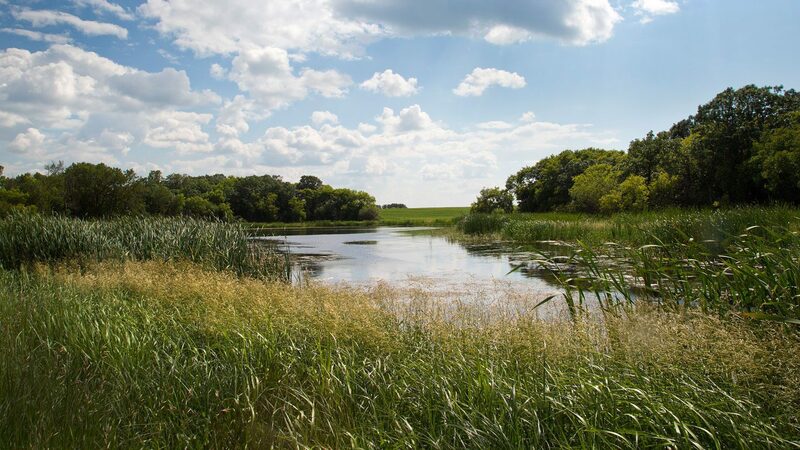 Wetland conservation is essential to maintain Manitoba’s rich natural heritage. It also protects our way of life. That’s why we’re working to ensure wetland habitats remain an integral part of our land and water. We all have a stake in the policies that affect the way Manitoba’s lands are used. In the south, 95 per cent of agricultural lands are privately owned. To the north, boreal forest wetlands belong to the Crown. Through partnerships and collaboration, we are helping to establish effective policies that protect and restore wetlands. Our work is promoting economic, environmental and cultural prosperity. The Institute for Wetland and Waterfowl Research (IWWR) is our research arm. Its world-class scientists study wetlands, waterfowl and the impacts of human activity on the Manitoba landscape. These discoveries are helping to inform public policy. They are directing our landowner conservation programs, ensuring wetland protection and restoration practices are effective and efficient. 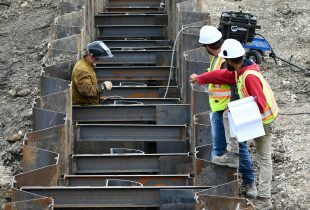 They are providing answers to some of the province’s most pressing environmental concerns. Our award-winning interpretive centre programs bring the wonder of wetlands into people’s lives. Outreach programs and student-led Wetland Centres of Excellence are helping to shape tomorrow’s conservation leaders. Since 1938, we’ve been working with farmers, ranchers, partners and government to ensure that landowners are rewarded for environmental stewardship. 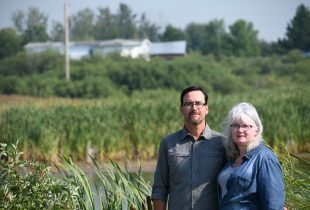 Our programs and experts help people protect and restore wetlands, plant waterfowl-friendly crops and integrate other sustainable practices into their operations. 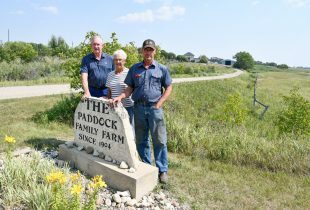 Tom and Valerie Northam accessed DUC's landowner programs to restore and protect 29 wetlands on their Rapid City area property.